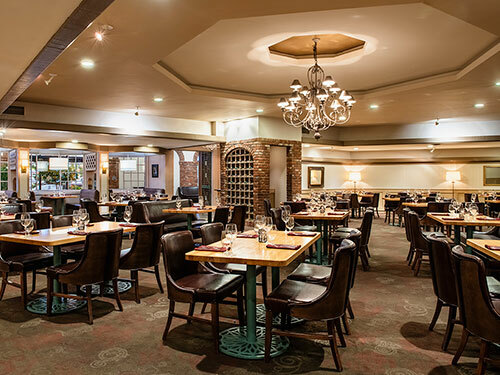 Whether it’s for business or pleasure, indulge your cravings for breakfast, lunch, dinner and drinks at any of our distinctive restaurants and lounges located within Cambridge Red Deer Hotel & Conference Centre. We provide a diverse range of light refreshments to innovative gourmet dishes rooted in classic regional flavours with tantalizing options to satisfty every appetite. Find the perfect pairing to your meal with our wide selection of wines. At Cambridge Red Deer Hotel & Conference Centre, a night in is the perfect night out. Our four-star service is sure to satisfy your appetite for great dining and entertainment! Right in the heart of our city’s entertainment district, Cambridge Red Deer Hotel & Conference Centre features two fabulous restaurants, alongside our fresh and stylish poolside lounge. Make a night of it in downtown Red Deer when you stay with us! Diverse cuisine, a sophisticated atmosphere and impeccable service make R&R Grill the perfect setting for any occasion. Their culinary team has created a menu to indulge your every whim with dishes ranging from creative appetizers to the finest classic cuts of AAA meat. On Sundays come and enjoy their impressive prime rib brunch. Garden Terrace Lounge is the perfect place to unwind with its sophisticated, luxurious atmosphere and great views of our outdoor courtyard. It’s inviting and elegant ambiance make it the ideal spot for drinks with friends and colleagues, and delicious meals from the lounge menu. Book your private dinner, lunch or poolside event today! Hungry for something fresh? Satisfy your cravings for quick and casual fare at Joe’s Deli, located in the lobby of the Cambridge Red Deer Hotel & Conference Centre. Fresh, homemade food is legendary at Joe’s Deli. 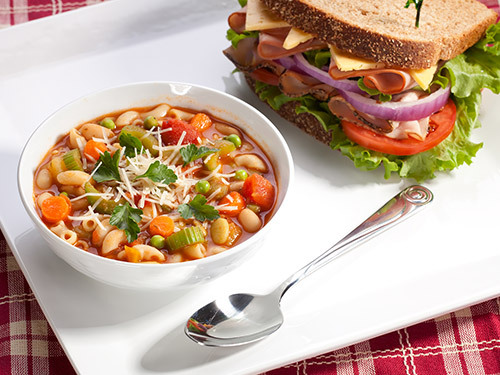 Enjoy your favorite comfort foods from hearty soups and healthy sandwiches, to delectable desserts. Be sure to savor your meal with a cappuccino or a cup of gourmet Starbucks coffee. Club guests enjoy special access to our exclusive club lounge, a relaxing, upscale space where you can treat yourself to the little extras you will only find at Cambridge Red Deer Hotel & Conference Centre. Join us daily for complimentary breakfast from 7am to 10am, complimentary hors d’oeuvres from 5pm to 8pm, and delicious assortments of snack and beverage options available for you to enjoy all day long. Looking for more than a bite to eat? 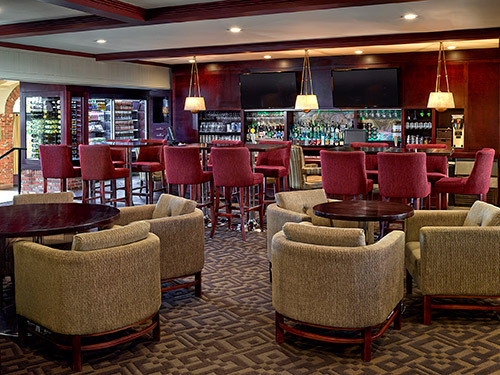 You’re sure to feel at home in our private club lounge. Connect with friends, regroup with your team, or simply relax and unwind in front of the big screen TV. Need to get down to business? A copier/fax/printer and complimentary office supplies are at your fingertips in the club lounge.